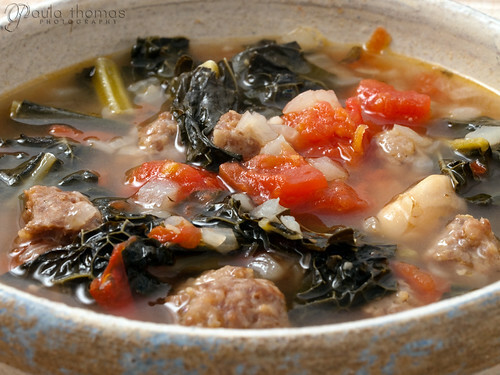 Last weekend I made Kale, White Bean and Sausage Soup from The Newlywed Kitchen Cookbook. Mark is helping me pick out recipes from the cookbook this time and this was one of his picks. It was a good choice. I've never bought kale before and don't think I've ever eaten it either; I wasn't sure what to expect. I also didn't know how difficult or easy it would be to find since I don't remember seeing it at the grocery store. I decided to go to Whole Foods to look for some. If anyone had it, they would and boy was I right. Not only did they have it, but they had three different varieties. I ended up asking someone about the different varieties and he helped me decide on the curly kale. 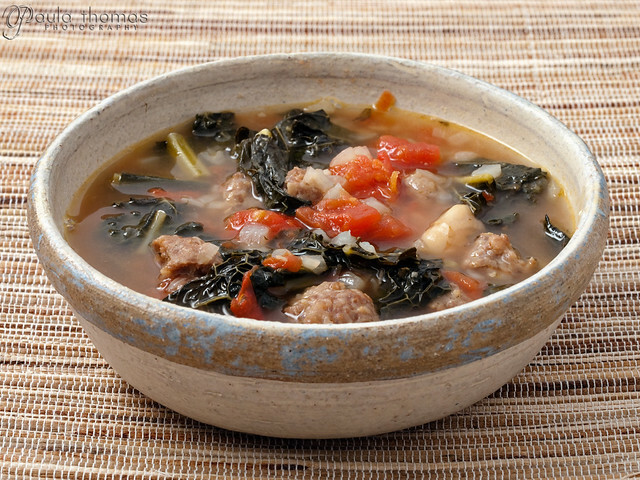 It has a stronger flavor than the other two and since it was going into a soup, it seemed to be a good choice. They also had a purple one and a lighter green one. Kale has a bitter taste, kind of reminds me a bit of dandelion leaves. I'm not a fan of bitter greens like that but in the soup the bitterness is not noticeable so it turned out to be a good choice. I'm not sure I would like it much in a salad. Maybe the milder varieties would be better in a salad. During checkout, they commented on my choice of veg and how healthy and good it is for you. So, I did a quick Google search on kale and found it really is one of the healthiest vegetables you can eat. It's said to be useful for detoxifying your body, lowering your cholesterol, decreasing your risk of cancer, and more. 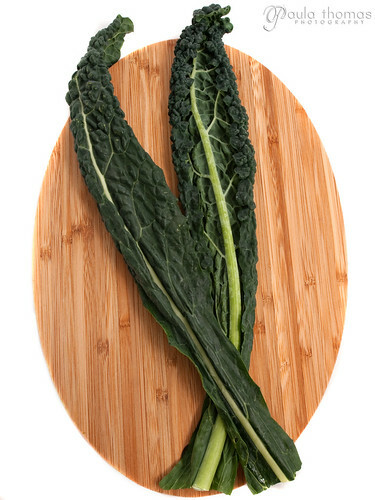 You can read more about Kale and it's benefits on whfoods.org and healthambition.com. So I might start eating kale more often! We both enjoyed it were happy there were more leftovers than we had with last week's tomato soup. Both of the recipes listed the serving size as 2 but there seemed to be twice the amount of soup in this one. The more the better! 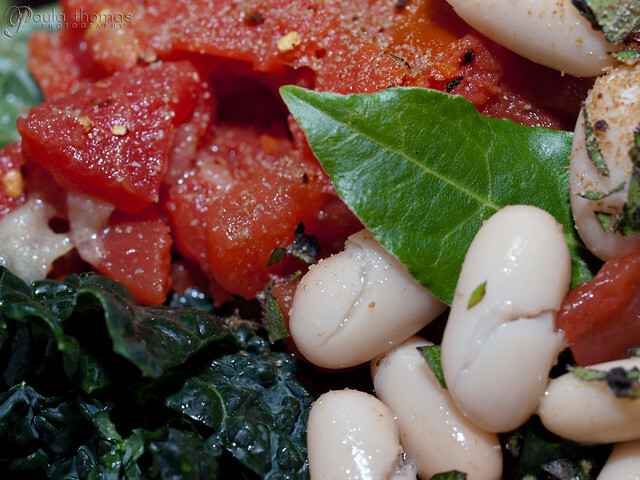 I *heart* kale white bean soup, especially during fall and winter. 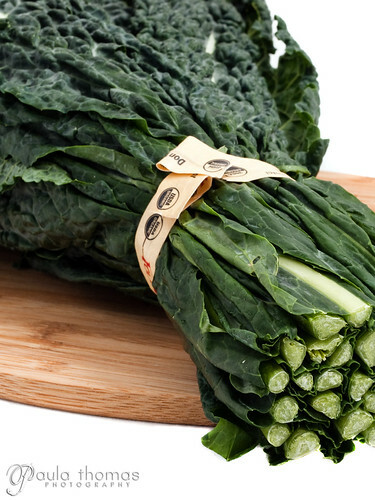 Kale is also good for anti-inflammatory too. One other recipe that I like is to saute kale (and/or chards) with olive oil and garlic, cooked with some broth, and finished with ricotta. You can find he recipe in The Splendid Table's How to Eat Supper. Look for Melting Greens.